Here is another excellent resource for science teachers. 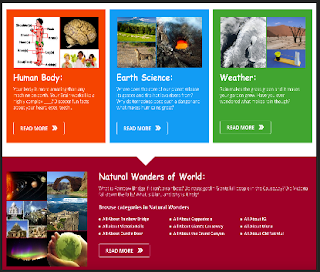 Easy Science for Kids is a website that provides a wide range of educational materials to help young learners learn about science in fun and engaging ways. These materials include : free science worksheets, videos, downloadable science activity sheets, interactive science quizzes, coloring in activities, science experiment tips and ideas and many more. Content in Easy Science for Kids is arranged into seven categories: Animals, Plants, Human Body, Earth Science, Technology, Biographies and Fun Activities. You can also use the site’s internal search functionality to locate specific content. Students will get to watch videos related to different science topics and work on interactive quizzes to test their comprehension. The Fun Activities section feature a number of interesting science experiments to assist kids better understand the workings of science in our daily life.